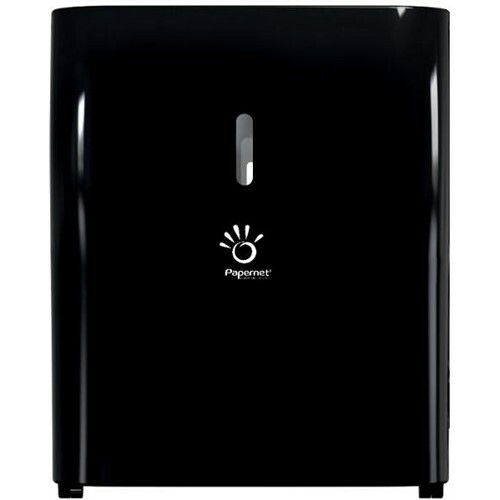 Papernet, Hardwound Electronic Proprietary Dispenser HyTech, Black, 9 in Roll Capacity, 416007, sold as each. Home → Paper and Dispensers → Papernet, Hardwound Electronic Proprietary Dispenser HyTech, Black, 9 in Roll Capacity, 416007, sold as each. Over 20 Years in Business! Oops! Your shopping cart is currently empty. Have you seen it yet? Setting a NEW Standard in Disinfection and Sanitization. Great for use in Airports, Gyms, Hospitals, Schools, Daycare, Hotels, Assisted Living, Schools, Restaurants, Any public facility.